The Two Kings label was originally conceived in 1990 by Jack Lundie & Andy Scholes to publish their own production work under the name of Henry & Louis. The first Two Kings release was How Can A Man mixed at the legendary Smith And Mighty’s studio, Ashley Rd, St Paul’s, Bristol , vocals by Andy Scholes and the B side , Love And Understanding, which in 1996, was re-vocaled by Johnny Clark on the lp ” Time Will Tell” Too Late featuring Prince Green, an artist that they have always collaborated with, although his whereabouts in Jamaica are currently not exactly known. The label has always put reggae production at its heart, though the sound is not a conventional dub sound. Our approach has been to express a Roots & Culture philosophy first and foremost and sometimes that sounds very much aligned with the UK Roots scene, but other tracks pull in wider influences from Dubstep to Trip-Hop. The feeling comes first and the sound follows – that’s how we roll. The first 2 Kings studio (that wasn’t also a bedroom) was based at the Vision Factory on Zetland Road in Bristol. 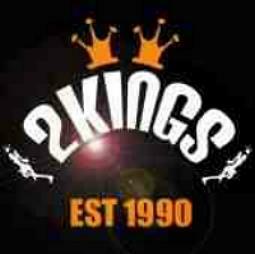 Andy Scholes is now a touring DJ, recording artist and producer with the Two Kings Sound. Alongside this he is a busy record label owner with artist’s such as Prince Jammo, Pinch, RSD and SickmanD Andy is also looking to arrange another trip to Jamaica to do some recording later this year or early next year. The influences that characterize the 2 Kings sound are predominantly dub-related and stem from both Jamaican masters like King Tubby, Scientist and Scratch Perry to contemporary exponents, such as Smith & Mighty, Adrian Sherwood and Jah Shaka. The Two Kings sound is built on a powerful bass platform and pulls in old school production flavours like looped space echos, mid-range EQ sweeps and spring reverbs. Other reggae influences come from Hugh Mundell, Johnny Clark, Nagga Morris, Barry Brown, Horace Swaby, Dennis Brown and Niney The Observer. Andy comes from a deep roots music involvement, triggered by his brother Mark giving him Scientists ‘How the West was Won’ in 1981 and leading to him joining Bristol sound system Red Eye Hi Power (Saul Hooper, Kevin Rogers, Andy Scholes) through which reggae became his way of life. Reggae was also Jack’s first musical love, though he had also been involved with local Bristol bands before forging the Henry & Louis partnership with Andy upon which Two Kings is founded. Inspired, Andy started to write and learn ways of producing original Roots music, setting up Henry and Louis with his brethren Jack Lundie in 1988 and starting up the label Two Kings records in 1990.